The centre of the Milky Way Galaxy sets behind the Athabasca Glacier and Columbia Icefields. This was one of the clearest nights I have ever seen at the Icefields. 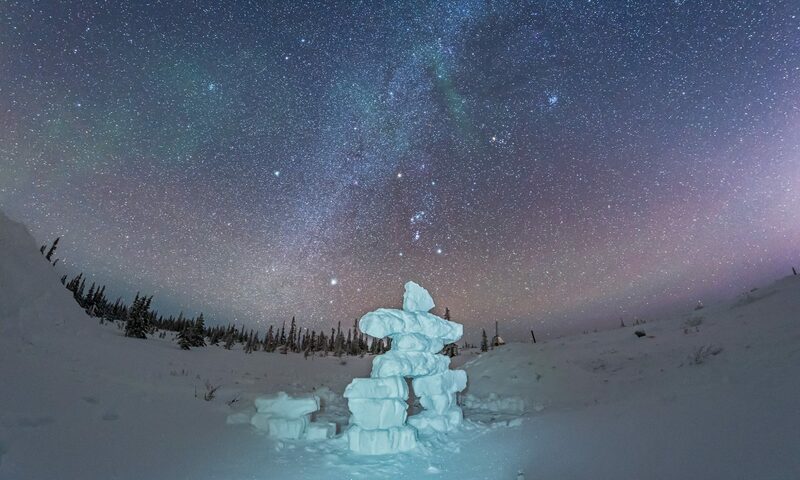 Unlike most nights, last night not a whiff of high cirrus was wafting off the great sheets of ice in Jasper National Park, leaving the sky pristine for the Milky Way to shine over the glaciers. I shot this image Sunday night, September 14, from the approach road down to the tongue of the Athabasca Glacier. 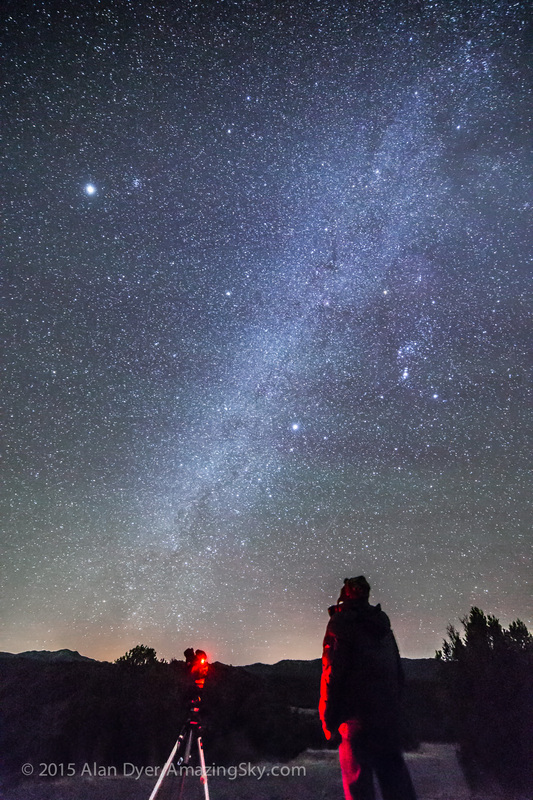 At this time of year, the Milky Way sets directly behind the glacier in the early evening. The angles were perfect. At left is the glacier-clad peak of Mt. Andromeda, indeed named for the constellation and mythological princess. It is lit just by starlight. The waning Moon didn’t rise until 11:30 p.m., leaving me a couple of hours of dark sky to shoot these and other images. – one from a stack of four tracked images where the camera followed the stars on a small mount (the Sky-Watcher Star Adventurer) in order to build up the image and, admittedly, record far more detail and colour than your eye could ever see in the Milky Way. – the sharp landscape comes from another stack of four images where I turned the tracking drive off so the ground wouldn’t blur. Stacking them helps reduce noise. 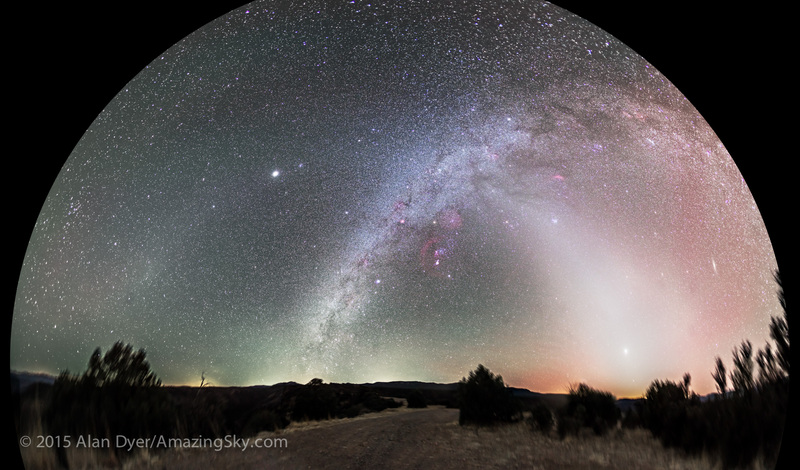 I composited the two sets of images, masking the sky from the untracked images and the ground from the tracked images. 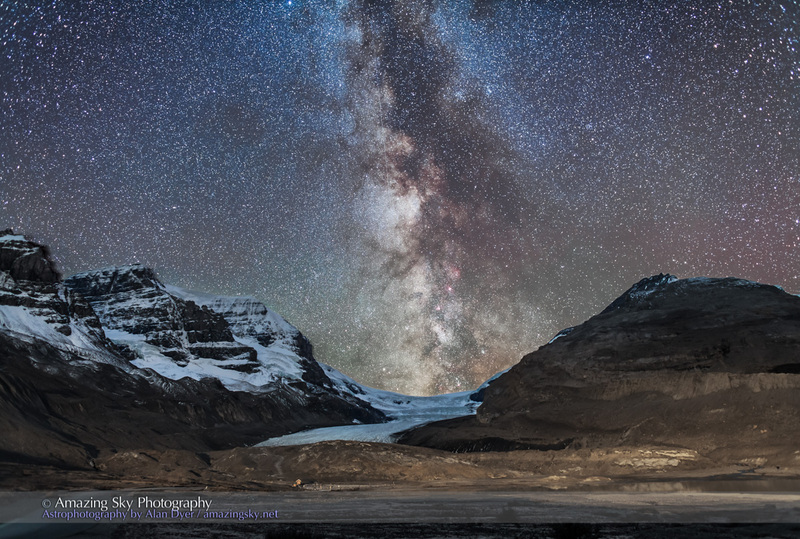 Perhaps that’s all a bit of trickery but the scene is real – the Milky Way really was there behind Athabasca Glacier. 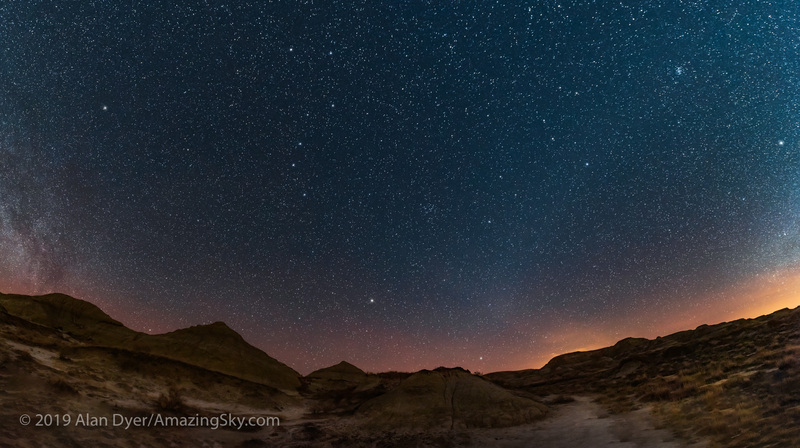 Each sky exposure was 3 minutes, each ground exposure 4 minutes, all with the 24mm lens at f/2.5 and the Canon 6D at ISO 1250.